We shall give you some easy DIY natural bathroom cleaner ideas which will help you maintain the perfect look of this special room. The bathroom is one of the most visited places in the home. This is the place where the morning begins and the evening ends for each member of the family. Whether you are getting your teeth brushed or have a relaxing bathtub in the evening, you would want to do that in a clean and tidy place. As we all know, hygiene in the bathroom is very important. This room is repeatedly used during the day and it is not a surprise that plumbing, faucets, tiles, sanitary ware and especially mirrors, quickly get dirty and lose their attractive appearance. 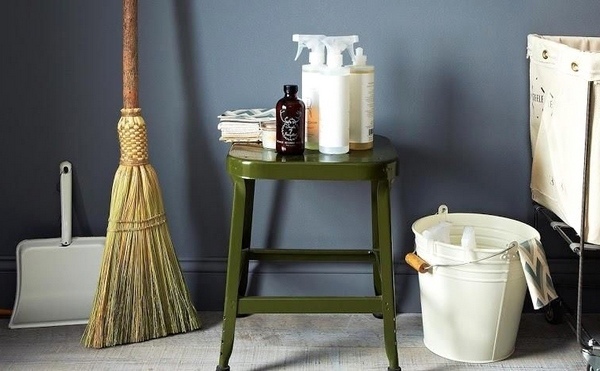 How many cleaning products do you usually buy for cleaning the bathroom? The market offers numerous cleaning products for tiles, glass and tubs, toilets and we are all aware that most of them contain strong chemicals that are extremely dangerous for your health and the environment. Can you maintain the hygiene of your bathroom with environmentally friendly, safe and inexpensive homemade cleaning products? Of course, you can and we shall give you some excellent DIY natural bathroom cleaner ideas which will help you do that. The ingredients for homemade bathroom cleaners are not difficult to find, moreover, they are available at any time in almost every home. 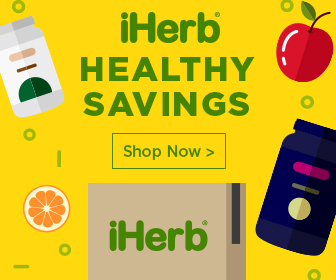 Cleaning the house with natural products will not only protect the health of your family but will also save money. 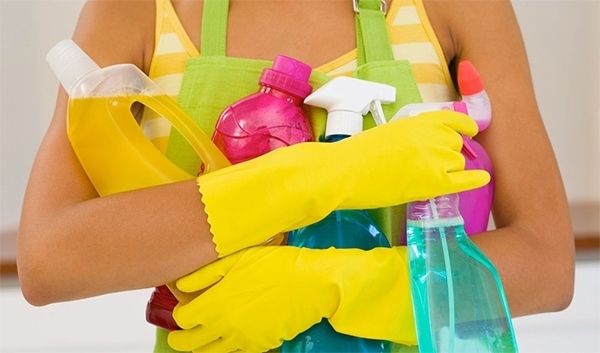 In addition, homemade cleaners do not require much time and effort. 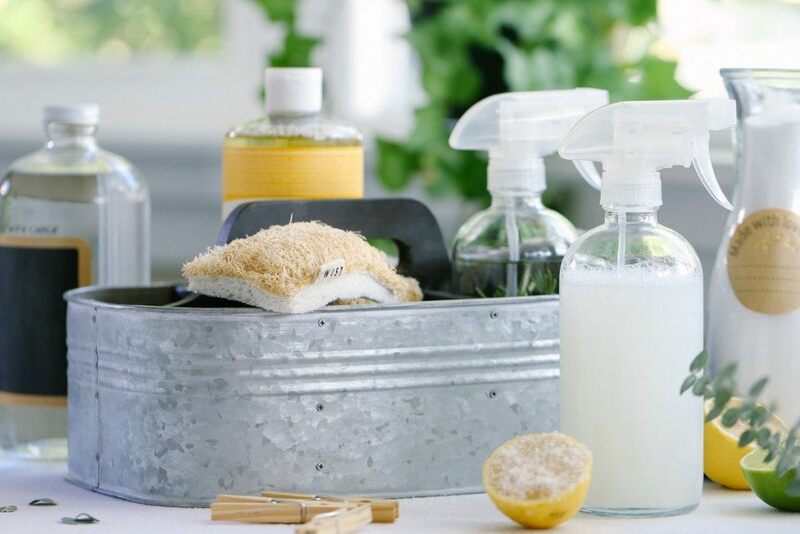 One more advantage of using homemade cleaners for the bathroom is that they are quite effective, do not pollute and do not poison the indoor air. The main problem with bathroom hygiene is that there are different surfaces to be cleaned – glass, tiles, ceramics, the shower curtain, the grout and each of these surfaces requires a different approach. However, if there is a powerful and universal, all purpose homemade cleaner, this one will help you clean the tiles, bathtub, toilet, sink, and the floor. 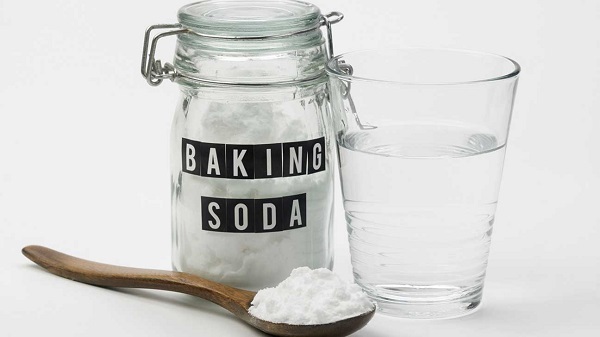 Pour the warm water into a spray bottle.Add the baking soda and shake well until combined. Add the soap (or dishwashing liquid) and essential oil and shake again to combine. Spray the surface and let sit for 2-3 minutes. 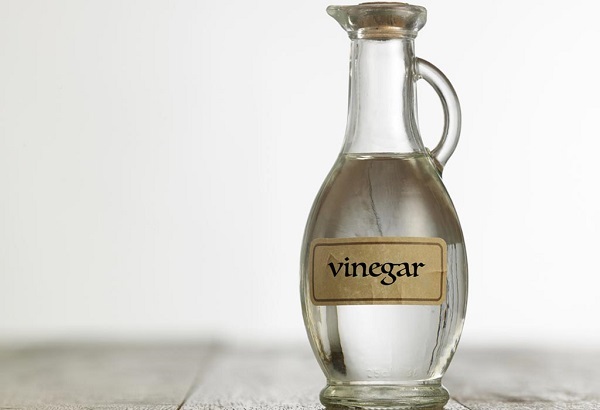 Vinegar is one of the most commonly used components in DIY cleaning products. Its main advantage is that it destroys bacteria, mold and viruses. A simple solution with vinegar will help you clean the shower and remove scum. Make sure that the bathroom is well-ventilated, because the smell of vinegar is really strong. Measure out equal amounts of dishwashing liquid and white vinegar. Heat the vinegar until hot and pour it into a spray bottle. Add the dishwashing liquid to the vinegar and shake to combine. Spray the solution and let it sit for at leat 30 minutes to 1 hour. Rinse the surface. 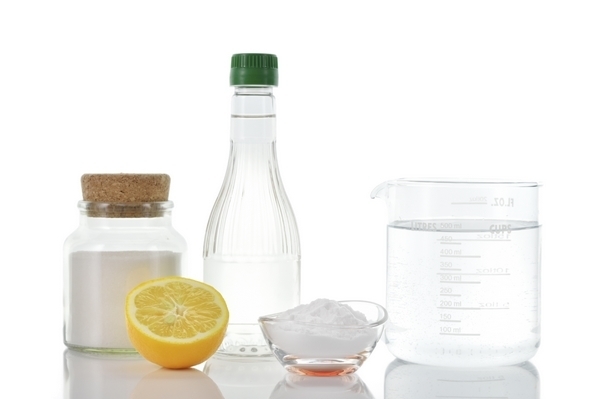 Mix water and citric acid in a spray bottle. Spray the surface of the shower and let sit for 15-20 minutes. Make sure you wear protective gloves since citric acid is safe for enamel, but irritate the skin of your hands. Rinse well with water. If necessary, clean problem areas with baking soda or soak a paper towel with the citric acid solution and leave it on the stained surface. How to clean the tile grout with chemical free bathroom cleaner? Mix all the ingredients in large container. Be careful because when combined with soda, the acid will foam abundantly. Stir the mixture slowly and pour it into a spray bottle. Spray the solution on the grout line and let sit for 10-15 minutes. Scrub gently with a sponge or scrub brush and rinse well with water. 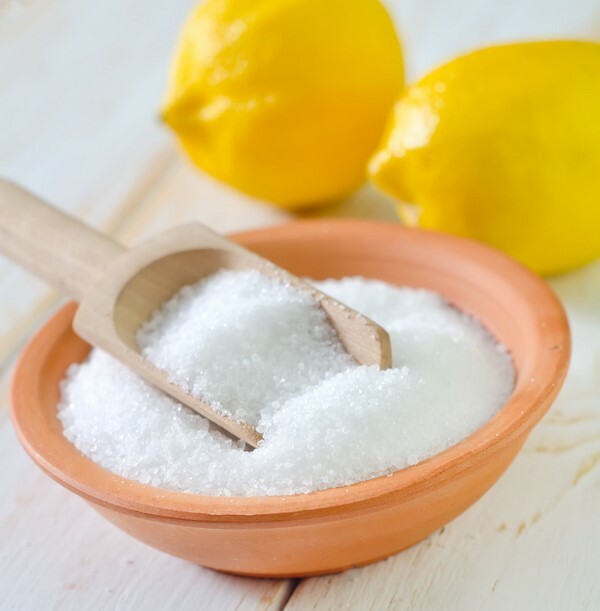 Finally, we shall give you an easy chemical free, homemade bathroom cleaner recipe which will help you for the daily maintenance of the bathroom tiles. 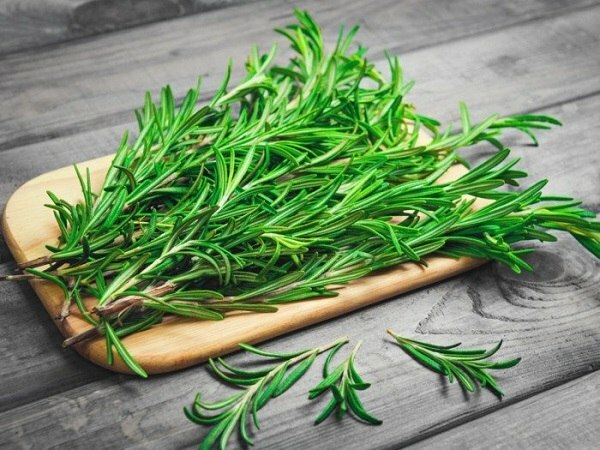 Make an infusion from the rosemary sprigs and the water. After the rosemary extract has cooled, add 5 drops of tea tree essential oil. Pour the solution into a spray bottle and spray on the tiles. Wipe with a cloth. As you see, you can use the simplest ingredients and maintain a clean bathroom without spending a fortune on chemical products. The post DIY natural bathroom cleaner ideas for a spotless place without chemicals appeared first on Deavita Interior design and Architecture Magazine.